The Pilgrim Fathers’ voyage to America on board the Mayflower is a significant moment in the history of a nation. But it was far from the first transatlantic voyage to North America, and Plymouth Colony was not the first English settlement in the New World. So why have those who left Plymouth in September 1620 occupied such a central role in the origin narrative of the United States? This question and many more will be addressed by Dr Kathryn Napier Gray, Associate Professor (Reader) in Early American Literature at the University of Plymouth, in the 3rd annual Mayflower Lecture on Thursday 26 October. The Mayflower Lecture Series was established by Dr Gray to support academic and public engagement events which focus on transatlantic literature and culture from the early modern period to the present day. The first lecture in June 2015 was given by the award-winning Native American chef, food historian, and photographer Dr Lois Ellen Frank, while the second coincided with the 15th annual conference of the Transatlantic Studies Association and was delivered by Mary Nolan, Professor of History at New York University. 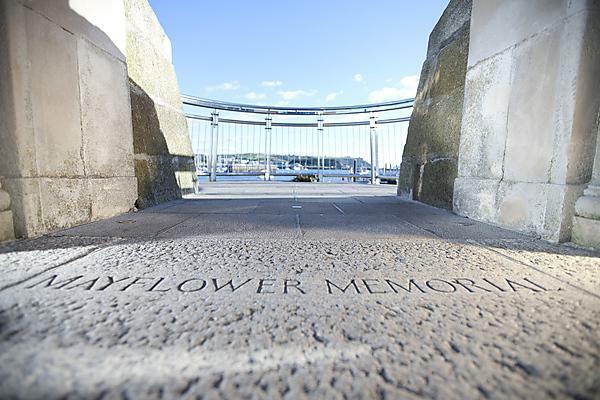 The series is planned to continue beyond this year as part of preparations for the 400th anniversary of the sailing of the Mayflower in 2020. “The Mayflower voyage certainly has an important place in the history of the United States, but it’s part of a much larger narrative of English and European exploration and colonisation,” Dr Gray added. This lecture will consider the unique circumstances of colonial New England, and take a wider view of the legacies and impacts that colonisation had on indigenous people of North America.